GEI Works is a USA-based manufacturer and solutions provider that specializes in erosion pollution prevention products such as silt and turbidity curtains, liquid storage tanks, construction and stormwater BMPs, dewatering products, secondary containment, collapsible water tanks, and erosion control materials. Call us today at 1-772-646-0597 or Request A Free Quote! Serving industries and facilities around the world, our goal is to provide you with economical products that address containment, pollution prevention, and erosion control requirements. Erosion Control requires products that are diverse, reliable, and equipped to handle the conditions of the project location. Addressing soil erosion that results from rainfall, water flows, wind, or stormwater runoff, these products stabilize areas to provide a firm foundation for vegetation and roads. They have been successfully used on construction sites, restoration projects, hills, lakes, and more. Stormwater Management products are the easiest way to address stormwater runoff and meet Best Managment Practices (BMP) pollution prevention requirements for your location. We offer a wide variety of stormwater BMPs that are able to filter unwanted pollutants from outflow, discharge, or natural runoff. GEI Works manufactures and provides a wide selection of stormater solutions including: drain guards, inlet guards, storm drain covers, drain seals and more. Review our stormwater management products to find the best solution for your location. Turbidity Barriers, also known as floating curtains, silt barriers, or silt curtains are floating barriers designed to contain and control the dispersion of floating silt or turbidity in water. GEI Works manufactures a selection of Triton turbidity barriers to contain silt and keep your project site in compliance in every type of water condition. Debris Boom and Barriers control, contain, deflect, or exclude floating debris. Orion debris and trash boom are extremely versatile floating marine barriers. Boom and barriers are used to contain and control floating debris such as floating timber, logs, rubbish, garbage, hyacinth, duckweed, and sargassum. Floating debris barriers can be used for demarcation, floating trash containment, seaweed control, or for aquatic plant control. Portable Water Tank Trailers provide you with a complete, fully DOT compliant turnkey water hauling trailer for transportation and performance that you can count on. We manufacture our trailer-mounted water tanks (also called Water Buffalo Trailers or water sprayer trailers) to be rugged, durable, and reliable. 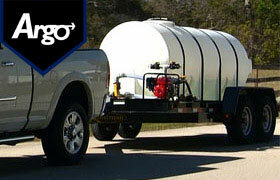 Each mobile water tank is made in the USA and delivered ready for operation. Secondary Spill Control and cleanup products, including containment berms, tanks, spill kit containers, and basins, are the perfect way to store and contain hazardous liquids. Ideal for applications such as fuel tanks, car washes, HAZMAT spill response, and decontamination efforts, these spill containment products keep your site safe and in compliance. 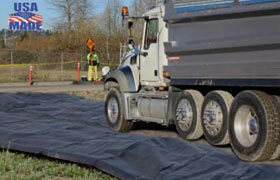 Options include a range of flexible, rigid, and custom products, such as a Rubber Spill Containment Berm. Collapsible Water Tanks are a reliable option for any site needing to temporarily store potable or non-potable water. Designed for crawl spaces or outdoor locations, our collapsible water tanks (liquid storage tanks) are easy to store, transport, and deploy with the ability to fit in otherwise wasted spaces. Taurus Dewatering Filter Bags, pipe socks, and sludge tubes, we save you money and you get an easy solution that works for filtering site discharge, wastewater, and runoff. Taurus dewatering products have a long field use life versus others that aren't as rugged and need frequent replacement. Helios Industrial and Commercial Incinerators (formerly known as Vulcan Incinerators) are available in a range of styles and sizes to effectively dispose of trash, drugs, medical waste, solid waste, and a range of other waste materials. Often used for businesses, industrial facilities, bulk trash disposal centers, police stations, airports, and more, these incinerators work to quickly and effectively dispose of unwanted materials in a way that is safe for both your facility and the environment. GEI Works (formerly Granite Environmental, Inc.) is customer focused, providing innovative solutions that can help meet your needs. Our products include erosion pollution materials, secondary spill containment, turbidity and silt curtains, oil spill absorbents, stormwater BMPs, erosion control materials, collapsible and flexible water tanks, sediment filter bags, dewatering bags, and geotextiles. GEI Works is designed as a complete solution source and is equipped to help customers through the stages of the Stormwater Project Cycle©. Through our partnerships globally and across multiple industries, we work to service customers wherever their business my take them. Whether you need to protect banks, drains, construction sites, work stations or facilities, we have products that can meet your needs. 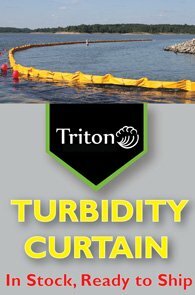 Turbidity Barriers and Silt Curtains are frequently used around construction sites, dredging areas, and shorelines to provide effective containment of silt and turbidity in your location. Type 1 Silt Barrier is a contractor favorite for in-water silt control on job sites, DOT projects, and road side work with calm water areas. Type II Silt Barriers are medium duty curtains designed to help with silt and turbidity control along rivers, lakes, dredging sites, barges, and other moving water areas. 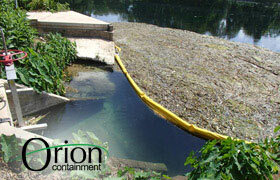 Type III Silt Barrier is the highest strength option for silt containment and control. Made with our strongest components, these turbidity curtains work to control the spread of stilt in demanding flow areas. Floating trash and debris boom is designed to be used in residential, commercial, and industrial locations to contain and redirect debris such as aquatic plants, trash, debris, leaves, seaweed, cranberries, and more. Water baffles control the flow of water in settling basins or lagoons, improves BOD, and reduces TSS in process ponds. 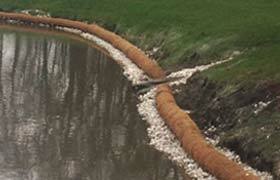 Soil Erosion Pollution Control can be essential to any job site, road, or erosion-prone area. Find the perfect geotextile, coir mat, or straw blankets for your site today. Coir Erosion Control Products offer the long-term stabilization necessary for vegetative growth and slope stabilization. Choose between our logs, mats, and wattles. Geotextile fabrics are ideal for roads, rip rap, drainage, and other demanding filtration requirements. Options include nonwoven filter geotextiles and high strength woven geotextiles. Our storage tanks for sale are available as portable collapsible water bladders, fuel blivets, firefighter self supporting tanks, steel tanks, and water trailers for long and short term needs. Collapsible Water Tanks for ideal for temporary storage of drinking water, rain water, gray water storage, and fuel storage. FDA and NSF 61 approved tanks available. Fiberglass Storage Tanks are a great way to store drinking water, rainwater, chemicals, and more. Above ground and underground models available. Our Water Tanks - Steel, corrugated and welded, above ground tanks for water storage, are used for industrial, process, commercial water storage, fire suppression, or rainwater harvesting. Other steel tanks are available for chemical, fuel, and water storage both temporary and long-term storage. Plastic water storage tanks are used for the storage and transportation of water, chemicals, and other demanding liquids. Often used as spray tanks, potable water tanks, and more. Best Management Practices, also known as BMPs, are designed to help keep your site in compliance with EPA and NPDES regulations. Available products include drain guards, drain covers, inlet protection, and more. Construction BMPs including drain guards, drain seals, drain covers, dewatering bags and socks, inlet filters, and more are available to filter stormwater. These stormwater solutions are designed to help you prevent stormwater pollution that might occur from various parts of your site to filter stormwater runoff and help you stay in compliance. Oil spill containment products include containment booms, spill kits, and absorbents to help with all your hazmat and oil cleanup requirements. Oil containment booms are a fast and effective way to keep fuel and oil spills contained on land and in any water condition from calm to open water. This Oil Spill Cleanup Equipment is designed to help you cleanup your spill fast. Booms and absorbents are our most effective oil clean up products. Secondary Spill Containment berms, tanks, basins, pallets, and decontamination pools for all your containment needs. Contain your products before a spill ever occurs on site! Our spill containment products are manufactured to provide you with more control over your materials, preventing spills or leaks. Containment liner and covers include geomembrane liners, tarpaulins, covers, and several other containment products. 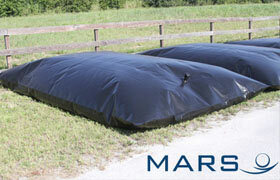 Pond Liners are an economical way to support the structure and integrity of your pond. 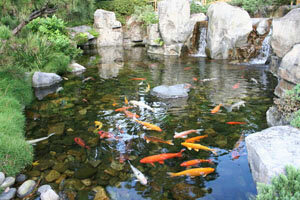 Flat panel liners are sized to the specifications of your pond and feature multiple fish grade materials. Commercial incinerators are designed for the disposal of solid waste, trash, drugs, and more. Portable and containerized incinerators available. The solid waste incinerator and combustion systems, provides a safe and effective solution for solid waste disposal in environmentally sensitive and remote locations. Small scale incinerators, also referred to as barrel burners, are designed for drug and evidence disposal from police stations. These units are easy & economical. Erosion Pollution Resources Erosion Pollution Resources page helps you navigate our site. Find additional information about our company, helpful tools, and contact information.